Lefteris Kalabakas was born in Athens in the mid 80’s and from the age of 9 knew that music was his big passion. As a teenager and, after years of music studies, he got involved with music playing as a guitarist and bassist for various prog. rock, jazz rock / fusion groups- projects , composing music and collecting records. These early influences would later evolve in to a passion for house and techno , electronic music production and djing. However, it was at age of 19, when he began making his first tracks and playing at local parties as a dj. After a few years and some changes of his music character his found himself releasing his debut album “Lullaby” as “Liberto” on the Athens based label Klik records, in addition to an e.p called “Contra” on Klik’s sub label “Nuevo”, taking great feedback from the Greek and the international press and putting his name on the map of electronic music. At the same time, Lefteris Kalabakas was attempting to express himself with more percussive elements and deep sounds. The resulting offerings “Plastikk” e.p on Playmobil and “Martini” e.p on Cusp entered the charts of many djs. As a dj, Liberto played at some of the best clubs in Greece and Europe including U-60311, Mangali (Ger), Solyanka (Ru), A.K.A, The Egg, Micro (UK), Cavo Paradiso, Fuzz (Gr). It’s been almost six years since Liberto released his debut album “Lullaby” for Klik Records. 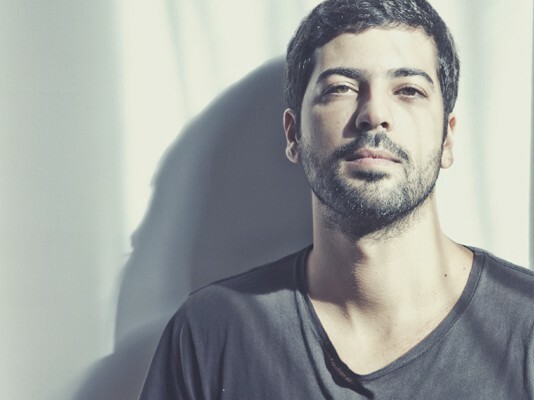 His warm deep and tech house sound received at once the best comments of the Greek and the international music press alongside the interest of some of the most important names in the electronic music scene. As a result to this, the next years were at most productive for Liberto with releases, remixes and collaborations with labels such as Trapez, Plastic City, Material, Playmobil, Syndikaat and the co foundation of the record label “Material” with Michael Safras. 2009 was the year of his new project under the name Lee Burton and recordings for labels such as Orpheas, Material and Plastic City in addition to several features and appearances in festivals and clubs. In January 2012 Lee Burton returns with his second album project, Busy Days For Fools. Being really ingenious Lee Burton manages to escape from the sound of Lullaby creating a unique output that combines the sound of the “German” electronica with the Greek temperament and the South American laid back feeling. “Busy Days For Fools” is the stoner side of electronica. Lee Burton did everything himself regarding the production of his new album. He spent a whole year in his personal studio using new techniques of production and recordings such as various kinds of microphones ranging from the classic condenser microphone to the microphone of a cell phone even a VHS camera one. Electronic sounds were created with vintage analogue equipment but also with live recordings of noises using various objects as well as music instruments. That was in need of providing the warmest, natural and analogue possible result, to create his own sound. With his influences coming from the electronic scene but also from lo-fi productions rock, blues, folk and jazz, Lee Burton’s whole idea for this album came though his feelings created by his everyday life, the people around him, their moods and way they think. Going back to 2006 when he recorded his debut album under the alias Liberto he says: “As a human being I feel like it’s been a long period with brand new experiences leading to a new different view of life, but as an artist I keep on living, feeling and looking for the real life influences that made me create something from the very beginning”. In other words this is the essence of “Βusy Days For Fools”. It’s the talent of an artist who transforms the images of his mind into sounds. A concept album project written for no other purpose than the will of the artist to invite us to his own music world.